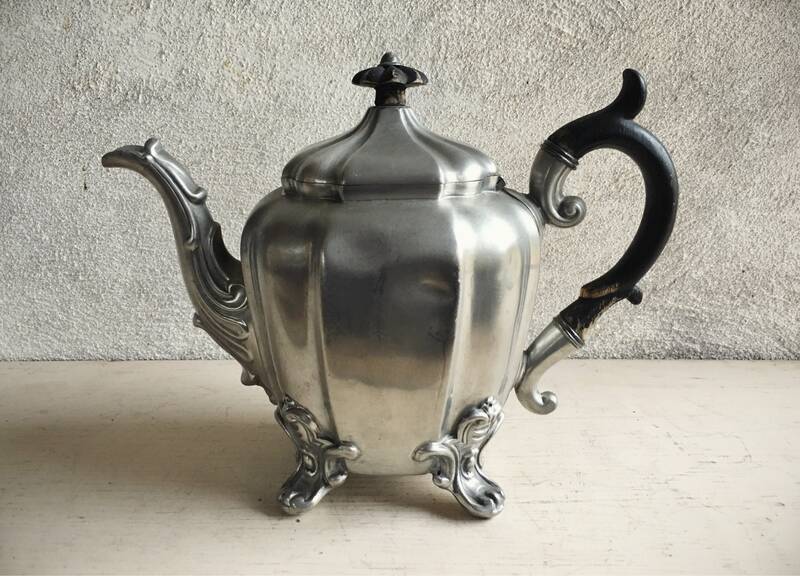 This 19th Century English pewter teapot by James Dixon & Sons is lovely. 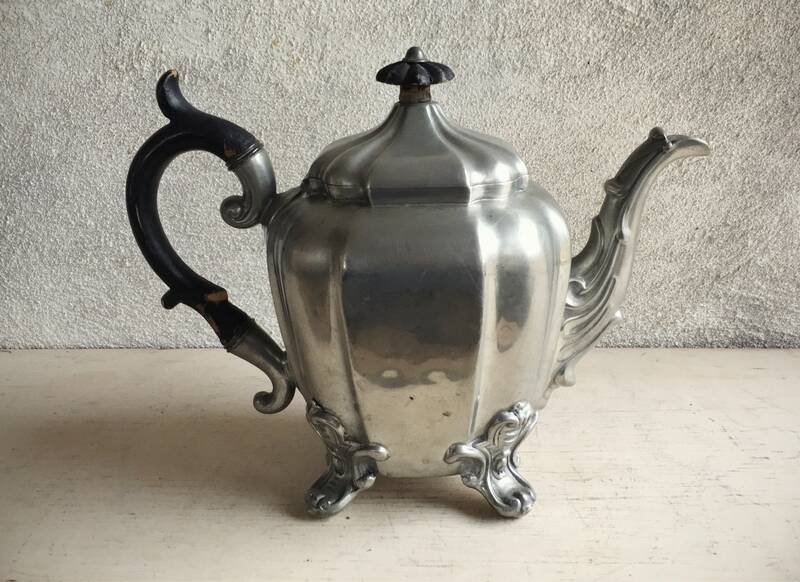 The company was founded in 1806 in Sheffield, and was a main British manufacturers in the Industrial Revolution of the 19th century, known for pewterware and Britannia metal. 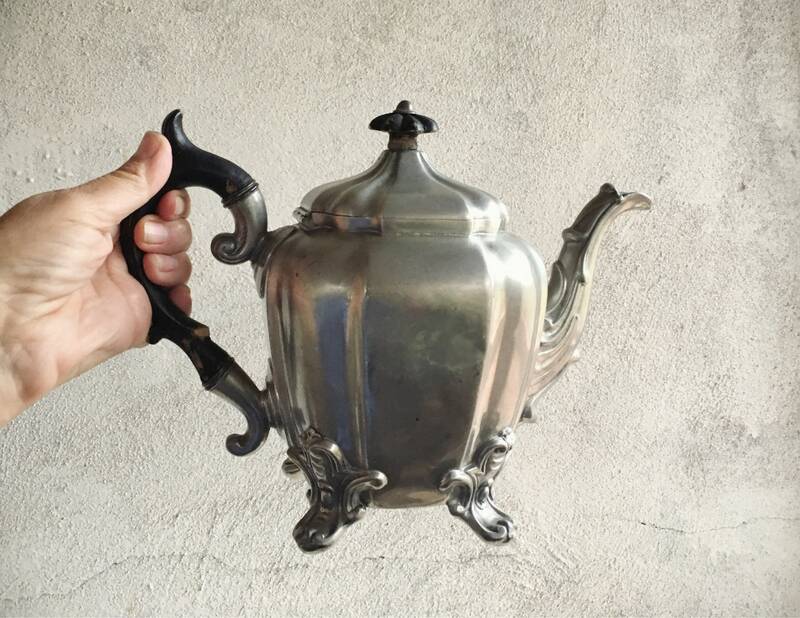 This teapot has a few dents in the pewter metal, and the black paint on the wood handle is flaking, yet it still exudes grandeur and formality. 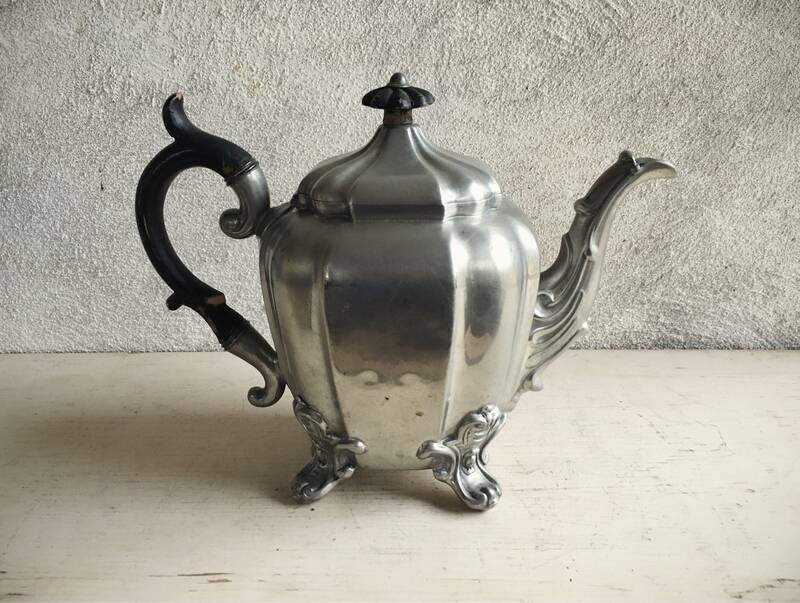 Would be beautiful in a Victorian home or as a décor piece for an English tea party. 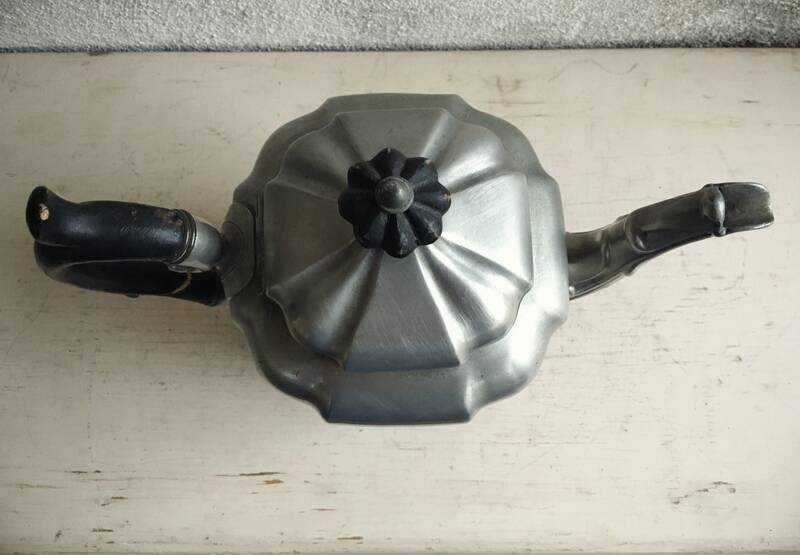 Based on the mark, we believe this teapot was manufactured circa 1842 to c. 1851 as we know it was after a second son was added (thus, SONS and not SON). Measures 8-1/4" tall by 10-1/2" across. 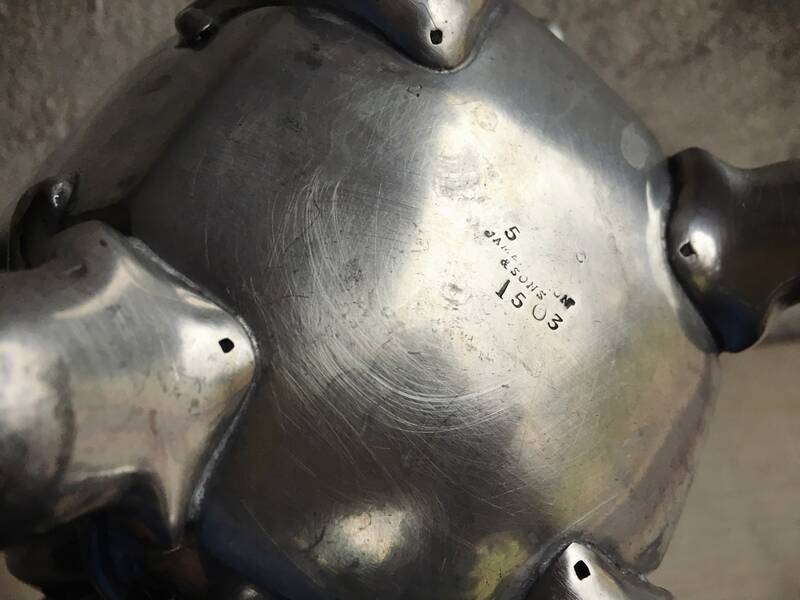 The stamp on the bottom is somewhat rubbed out but we can still make out the model number 1503. 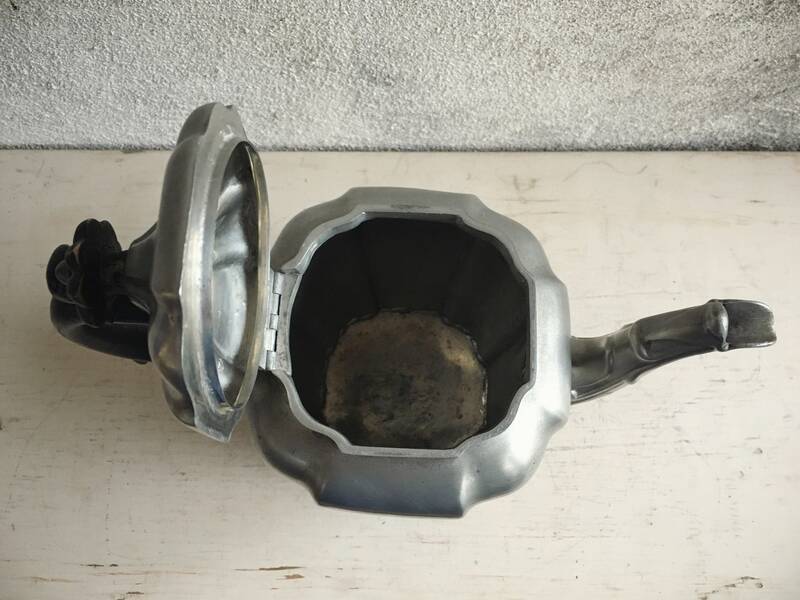 In good condition given the age.